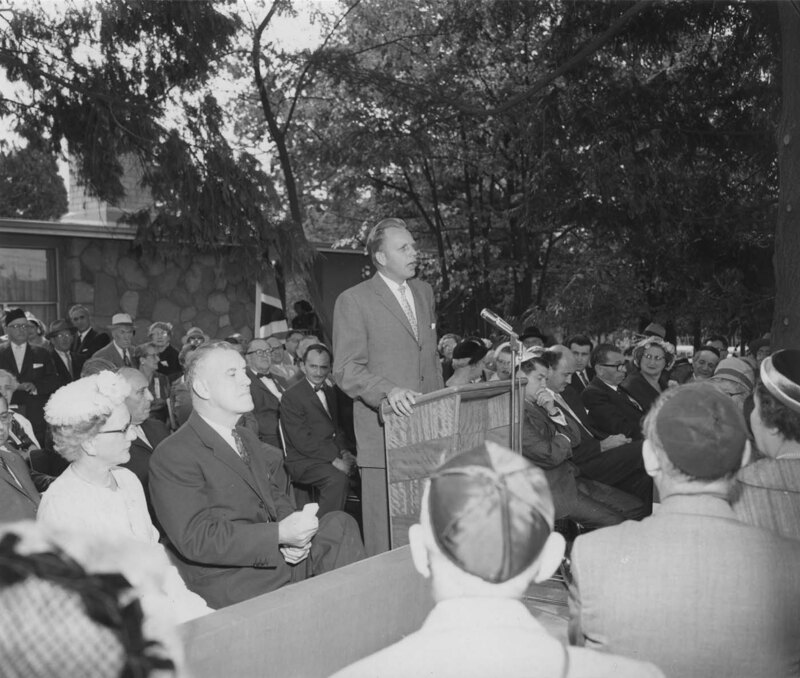 1 photograph : b&w print ; 3.5" x 4.5"
Photograph depicts an unidentified man at a podium with a large audience listening to him. Written on the verso: "File No. 1988-2".